Citizens of Pechenga asked to be on alert against suspisious people from North Caucasus and Central Asia. Norwegian Police Security Service do not share the fear of terrorists hiding among the huge number of asylum-seekers. The special warning to the citizens of Russia’s border towns Nikel and Zapolyarny was published Monday on the portal of the municipality of Petchenga Rayon. “Due to the large influx of refugees from the Middle East through the territory of Pechenga, it can’t be excluded the possibility of someone sneakly trying to conduct terrorist acts in the territory of Pechenga,” the FSB Border Guard warning reads. Since late last week, somewhere between 800 and 1,000 refugees from many countries have arrived to the town of Nikel awaiting further transportation to Russia’s border check-point to Norway. So far, more than 2,700 asylum-seekers have taken the so-called Arctic Route via Russia to Western Europe with entry to Norway in the north. 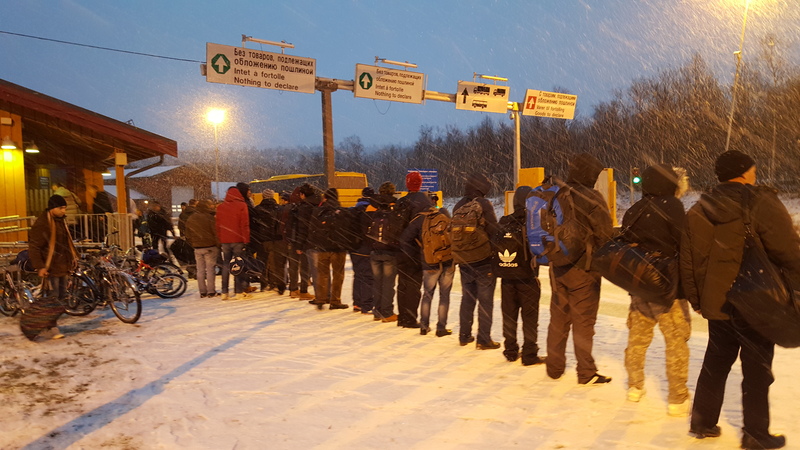 Monday set another peak, when 174 asked for asylum at Storskog border check point, the police in Kirkenes says in a tweet late Monday evening. Last weekend, 239 migrants crossed the border at Storskog, some 30 kilometres north of Nikel. Inhabitants in the border area are asked to immediately call FSB about any susbisious activities, in particular people from North Causcasus and citizens of Central Asia. 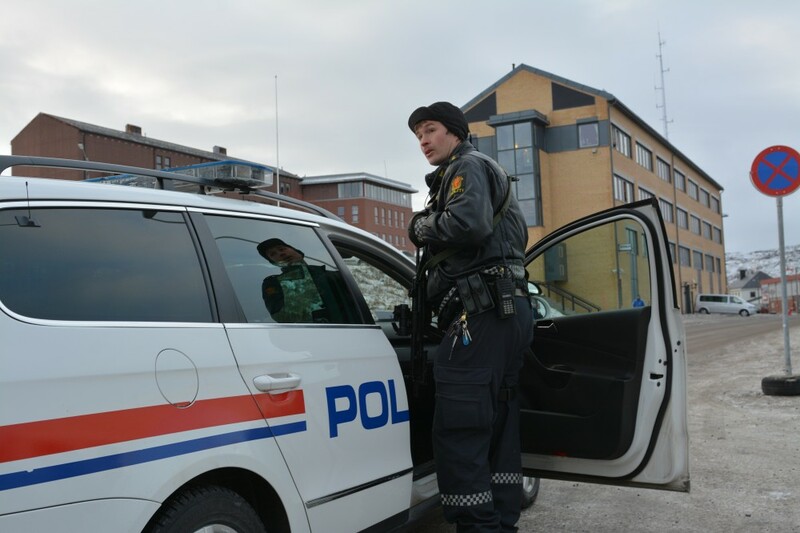 The Border Guard Service also warns there might be illegal attempts to cross the state border to Norway. Speaking to the Independent Barents Observer Monday evening, Senior Advisor Martin Bernsen with Norwegian Police Security Service (PST) says there are no reason to fear terror on the Norwegian side of the border. “So far, we have not been worried. We have not seen any ISIL sympathizers that have entered the country through the inflow of refugees,” explains Martin Bernsen. “We don’t know if they have other sources of information than we do,” he says commenting on the terror warning issued by FSB. Has PST been informed by FSB about today’s terror-warning? “We do never tell about how we cooperate with intelligence services of other countries,” Bernsen says. Norway and Russia share a 196 kilometre long border. On the Russian side, a barbed wire fence extends along the entire border. There are some 38,000 inhabitants in Pechenga Rayon, of which the majority lives in the towns of Nikel and Zapolyarny. There are several military units based in Pechenga, including formations of Russia’s Arctic brigade. Kirkenes is Norway’s border town to Russia, located only some few kilometres from the borderline. This week, a larger refugee centre will open near the airport in Kirkenes.